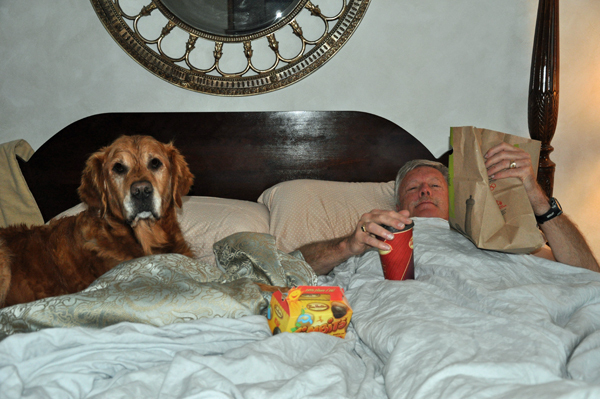 My two favourite Dad’s celebrated breakfast in bed this morning. Don got his McDonald’s Big Breakfast and Wally got his beloved Timmie bits. 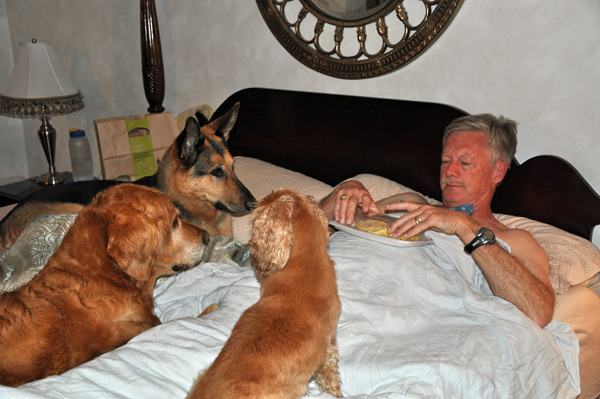 All 3 dogs very generously offered to help their Dad eat his big breakfast. far tooooooo cute…..love the ears on Tango!!!! Wally so itense and Tilly looking on saying hey guys, what about me…….love it….